Criticwatch was immensely proud of the studios last year. 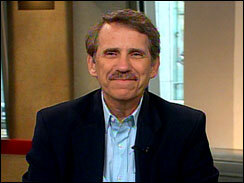 Their go-to guy for early praise in the guise of a recognizable print outlet, Peter Travers, had received his lowest quote total since 2004. Ten quotes lower than his average output from 2005-2010 and 20 less than what he had in 2010 alone. We are still talking about 61 films smothered in meaningless Travers hyperbole, but it's a start. Is under 40 too much to ask for 2012? For two months at the start of every year, that dream is still very much alive, since Travers does not really get himself going until March. Like clockwork too, the Rolling Stone Peter has managed to be a part of 7 film ads just in March alone after a mere three total in January and February. The silver lining in this is that none of the major studio divisions is playing the Travers game yet in 2012, which makes it all the more troubling that Lions Gate had to resort to selling a film that needs no introduction, nor even critics to make it the biggest film in the studio's history this very weekend. Though press screenings around the country had not even begun for The Hunger Games, the word from a few at SXSW who had seen the film earlier in the month was very positive. This was not some fanboy propping of John Carter which saw its early unanimous praise at Rotten Tomatoes sink from 100% down to as low as 49% by opening weekend. 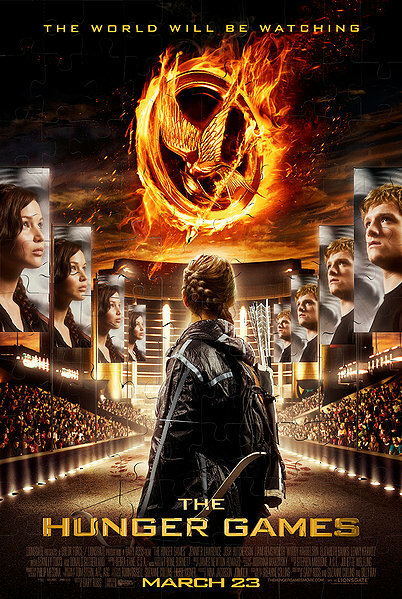 No, The Hunger Games praise has maintained with over 170 reviews and 87% of them positive. In other words, the best reviewed live-action wide release of the year. (Only The Secret World of Arrietty holds a higher rating.) And only the 9th wide release to rank in the "fresh" column out of 29 this year, but who is counting? Well, we are. So with all those reviews out there, with over 150 positive ones to choose from, why would Lions Gate choose to go with this one? Yeah, it's about time we had a winner. 69% of the major releases this year couldn't even hit 60%. But why is this one "a winner?" Certainly will be for Lions Gate's bottom line. But are The Grey, Chronicle, Haywire or even limited release The Raid: Redemption any less of a winner? Oh, I see, because The Hunger Games is a game and there can be only one...or two...or just one. Never mind. The Hunger Games is a winner in this respect: Gary Ross made a real movie. Not dumbed down and not just pandering to a PG-13 teenage audience. By visually telling the story entirely through Katniss' point of view he cleverly gets around many of the potential obstacles and objections one might have over a story about kids killing kids. If the violence is toned down, it's because we only see the glimpses that Katniss sees. If the Games themselves are not particularly exciting or suspenseful, it is because Ross is keeping an audience from being complicit in enjoying the slaughter as entertainment. Sure, the point could be emphasized further with gruesome displays, but our levels of bloodlust could only be increased if it occurs to someone trying to kill the heroine we have come to care about. In other words, everyone. The Hunger Games is definitely a winner in many respects, but Lions Gate should know the difference between critics who can back up the description and one who uses it as often as a soccer mom at the presentation of the participation awards. ...take the rest of his quote with a grain of salt. Look Lions Gate, we love you even if you couldn't quite get Warrior off the ground. You certainly tried by getting an avalanche of critics on board and allowing not just the junket whores and LA-based press to post their reviews early. You and the film deserved better. Six months later and you have a film that is going to make more than Warrior just in its Thursday midnight showings. By Sunday night it is likely going to gross more money than your greatest success to date (Fahrenheit 9/11's $119 million.) The film sells itself and yet clearly you were proud enough of it to not hold it back from critics until the last minute and lifted the embargo a full three days before it opened. Why chain yourself to Peter Travers as your sole messenger? Branch out Warrior style. Find critics from all media and show more than just the fanbase who bought their tickets weeks in advance that we are on board with this film. Show adults it is a movie they will enjoy as well; adults who know that Travers will lace up his reviews with additional hyperbole even on the ones he borderline recommends just to ensure Rolling Stone is on the ads. Take a page from Travers' book and show you are the studio that won't quit (like your films Cabin Fever & The Hunger Games) until you have found some real critics that praised your films. ]The Hunger Games is his 10th quote of 2012. If that number holds through March he would be on pace for 40 quotes; if we can somehow curb the 23 quotes he gave out between April & June last year. The Hunger Games is the next big blockbuster of the year (not the first, Dean "John Carter" Richards) and $250 million-plus puts you in the big leagues, Lions Gate. Peter Travers is the Caesar Flickerman of critics and may the odds be ever in your favor to avoid him in the future.